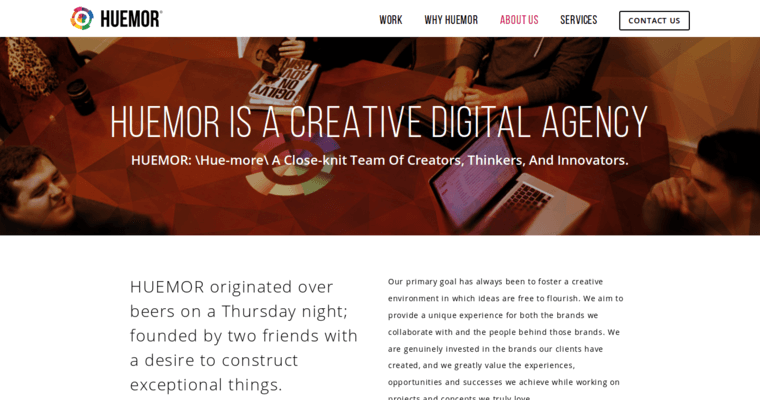 Over the years, Huemor Designs has hired a number of experts that always work hard for all of their clients, and this is just one of the many reasons why they are actually considered to be the best digital agency available in the industry. They are always attempting to move into other types of digital services, and they are able to do this by only hiring the best minds in the digital marketing field. Some of their more popular services are social & pay per click ads, website design, eCommerce, content management system, email marketing, search engine optimization, analytics & research, training & education, responsive design, and creative direction.